Sudan was 45-years-old and had to be put down after suffering "age related issues." He was placed under armed guard in 2015 to stop him being targeted by poachers. 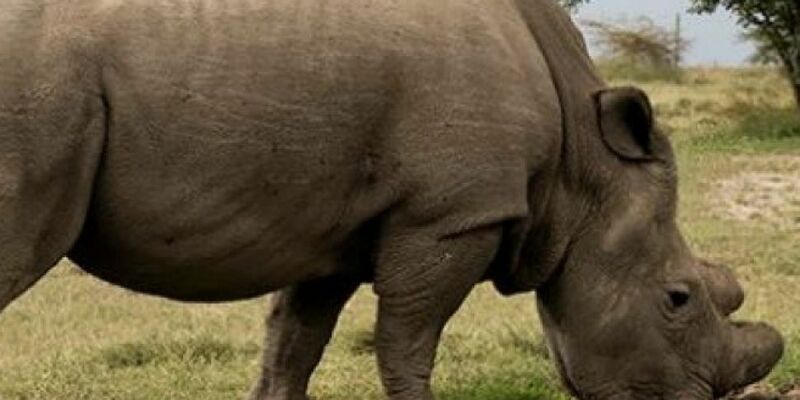 The rhino also joined Tinder last year to try to raise awareness of the plight of his species in Africa. Now only two are left: his daughter and granddaughter. Scientists have gathered his genetic material, and are working on developing in-vitro fertilisation (IVF) to save his subspecies. In a statement, Ol Pejeta Conservancy in Kenya said: "Sudan will be remembered for his unusually memorable life." "Throughout his existence, he significantly contributed to survival of his species as he sired two females." "During his final years, Sudan came back to Africa and stole the heart of many with his dignity and strength." In the 1970s, he escaped extinction of his kind in the wild when he was moved to Dvur Králové Zoo.